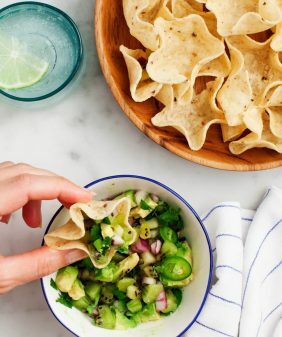 A quick and easy weeknight dinner - especially great for avocado-lovers. Use brown rice spaghetti to make it gluten free. 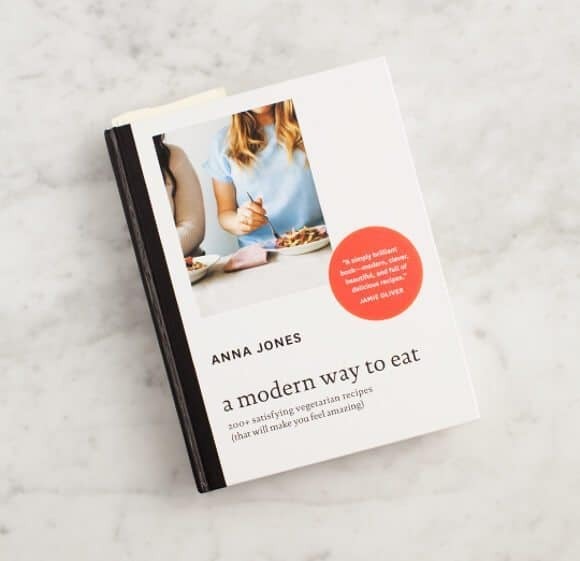 Last week, I briefly talked about Anna’s book, A Modern Way To Eat. While it’s been out for awhile now, it’s only recently been released in the US and I finally got my hands on a copy. 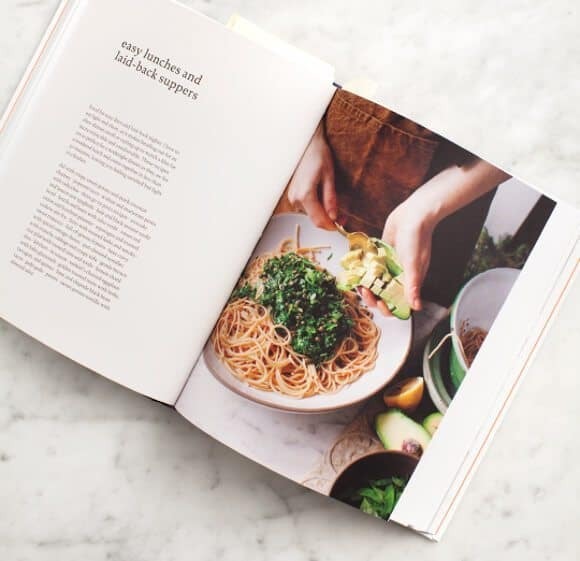 What I love about it is that it’s more than just a book full of recipes (although there are over 200 of them! 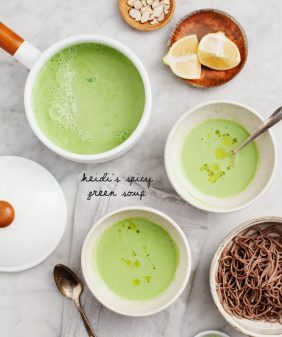 )… she offers tons of delicious ideas for how to mix flavors and textures together in creative but not-fussy ways. Last night, I was looking for something quick to make for dinner – the only requirement was that I had to have the ingredients already on hand. 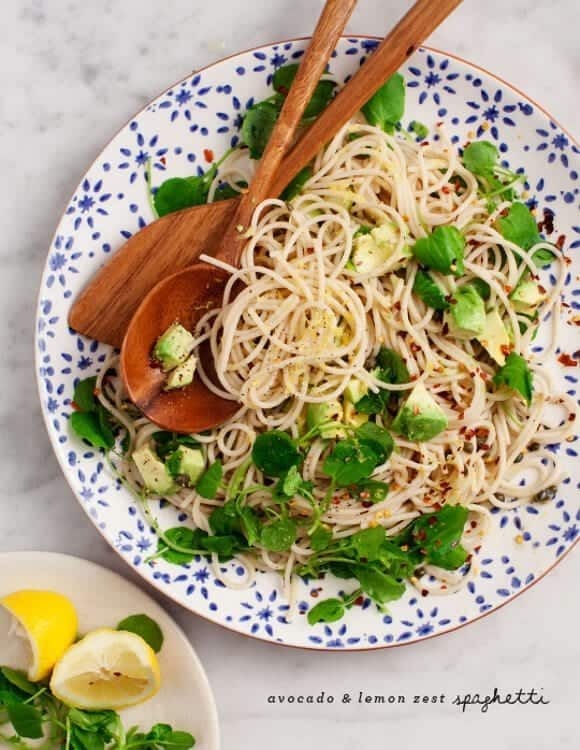 This spaghetti with avocado and lemon zest had my name written all over it – I’m a sucker for anything with avocado, yet I’d never thought to put it on pasta before. The only thing I didn’t have was parsley so I used a bit of watercress instead. My favorite part about the recipe has to be her final instruction: “Scoop the pasta into bowls and eat on your lap.” Done and done. Recipe from A Modern Way to Eat, by Anna Jones published by Ten Speed Press. a rolling boil, then add the pasta and cook for 8–10 minutes, or according to the instructions on the packet, until perfectly al dente. Heat some olive oil in a large frying pan on a low heat, then add the capers and garlic and sizzle gently until the edge of the garlic starts to very slightly brown. Remove from the heat and add the lemon zest. it inside the skin. Use a spoon to scoop out each half into the pan, and stir to mix all the flavours together. Before you drain the pasta, carefully scoop out half a mugful of the pasta water. 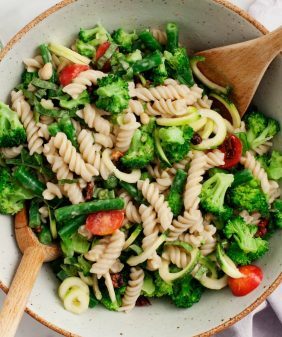 Drain the pasta and add it to the frying pan with a little of the cooking water and a good drizzle of olive oil. Taste and add salt, pepper and lemon juice as needed. Scoop the pasta into bowls and eat on your lap. I used watercress instead of parsley, and I tossed it in at the very end. Also, I made a half-recipe to serve just 2 of us. 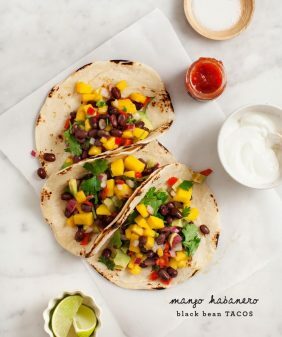 this looks so simple and also like the perfect summer comfort meal! So easy and so delicious, a keeper!….thanks! Anna’s book is amazing! It’s my go to book for good, healthy and totally delicious combinations. This recipe is an old favourite! This is a perfect summer pasta. Love the flavour! I happen to love noodle bowls with avocado and use them as my go-to recipe when I need something quick. So this recipe has my name written all over it too! Good luck putting the finishing touches on your book! This looks amazing. Any wine pairing suggestions? Natalia, I agree! I don’t eat meat every day, and on days I do eat it I eat it in small amounts. I’ve never put avocado on pasta either. But what’s not to love?! I join those who are commenting they never thought to add avocado to pasta and I am a MAJOR avocado eater. I find it is ‘easy being green’. Okay that was lame. Delish recipe. So exciting that you’re just putting the finishing touches on your book — I’m looking forward to seeing it! 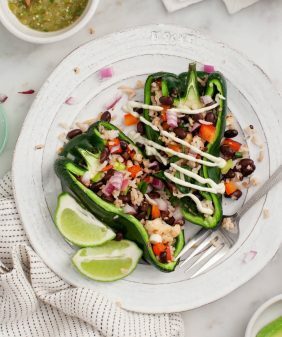 I keep seeing recipes from Anna’s book and it seems just exactly like the kind of food I like to eat. Can’t wait to pick that one up too! Beautiful! You can never go wrong with avocado and lemon if you ask me 😉 yum! 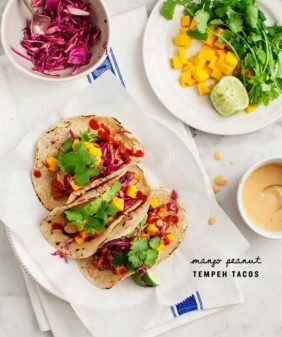 I’m so excited for your cookbook release! Ah! Going to be a stunner. Really have been wanting to get my hands on this one here too, it sounds like the kind you’ll cook from forever. It was Great combination. Love to try it. This sounds perfect for a summer supper. 2 of my very favorite ingredients: Avocado and Lemon! Definitely will be trying this out. I imagine it’s delicious!! This recipe looks delicious. I am definitely going to try it!